I also have ssh, openssh-client, openssh-server installed on my server. Also I would like to mention that the client from where I am connecting to the server is connected to the router via LAN and the server is connected to the router via Wi-FI. It looks like port 2222 is missing from this list. 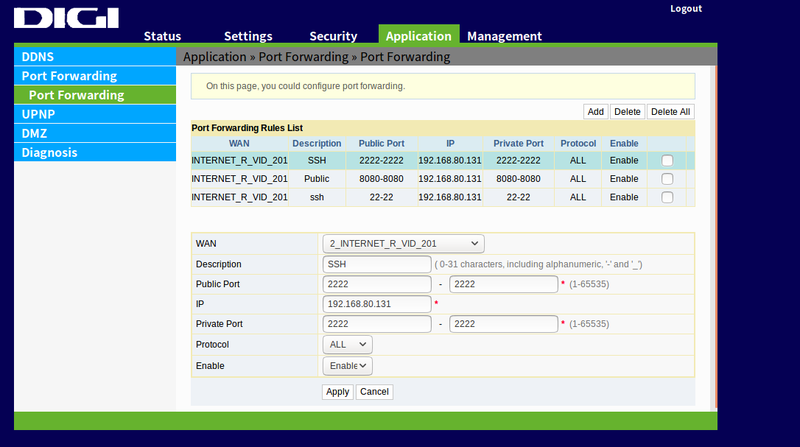 You also posted a screen-shot of what appears to be your router's administrative GUI which shows a port-forwarding configuration page which included SSH rules for both port 22 and port 2222. You haven't included enough information for me to determine exactly what your network looks like, but it appears that you'd like to connect to a host on one of these two ports. Try adding an ALLOW rule for port 2222 (via your router's administrative GUI) before trying to connect on port 2222 again. Edit /etc/ssh/sshd_config to listen on Port 2222. Allow port 2222 through your firewall as changing the port from 22 to 2222 does not change it automatically for most firewall profiles.